United Appliance Repair LLC. 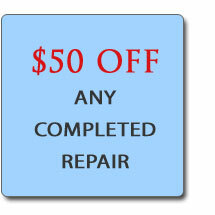 is a full-service company of all major residential appliances and electric repairs. We are committed to timely and thorough customer service, communication and, most importantly, ensuring the safe, effective and efficient operation of all your appliances. We also do all residential electrical services including Appliances wiring, troubleshooting , Panel changes, Code corrections , Ceiling fans , GFCI Receptacles , Lighting Repairs & Installation and much more! We are insured. Very Fast & Reliable Service Please take a minute to browse through our website. If you have any questions, feel free to give us a call. Thank you for considering United Appliance Repair LLC. We look forward to serving you .